Chattanooga community, get ready! There’s a new and unique, fun thing to do in Chattanooga opening this month, and it promises to raise the bar in terms of how we view interactive experiential play. 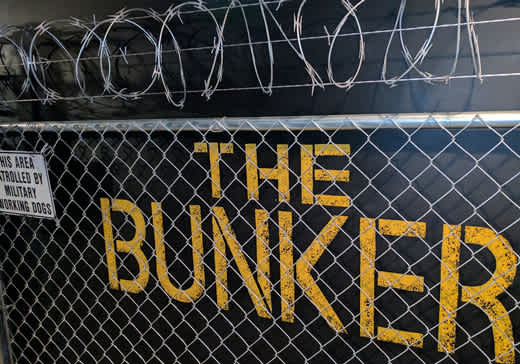 With nearly a year invested into its development, it is simply called The Bunker, and it&apos;s the latest creation of Chattanooga’s original escape room company, Escape Experience - Chattanooga. Since Escape Experience opened its doors in December 2014, it has quickly become one of Chattanooga’s favorite interactive attractions. Inside, participants are “locked in” a themed scenario called an “escape room game” and given just one hour to get out by finding clues and solving puzzles, which all lead down a path to escape. Sound crazy? Well, it’s actually loads of fun and something you may even find yourself still talking about weeks after you try it. “[I] was visiting my son and future daughter-in-law… I came home telling everyone how great this was!!! Best money spent on our whole trip! I got to visit with family, have a great time, panic as the clock ticked away...laugh...freak out and... eventually escape! All in an hour! With so many great Chattanooga attractions focusing on the outdoors, Escape Experience is the perfect downtown stop for tourists looking to escape the rain, get out of the heat, or try something different. Located just a few blocks from the Chattanooga Choo Choo, there are numerous nearby restaurants and cafes and lots of free parking for their guests. Escape Experience currently offers four unique experiences to choose from: C-Block Prison Break, where you’ll take mugshots, be handcuffed, and then get thrown into prison together; The Inheritance Mystery Room, a time-travel themed scenario that takes place in your late uncle’s library; Vaccine - Search for the Cure, a post-apocalyptic zombie challenge; and its newest “premium” experience, The Bunker, which takes place inside an old Cold War era themed nuclear missile complex buried deep in a mountainside. The Bunker opens this month. Each of the four escape room games are designed to look and feel as if the participants are inside and a part of the environment of the story for each experience. 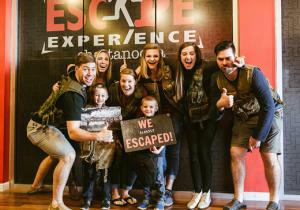 So, if you’re looking for a unique way to engage with family and friends and create lasting memories this summer, consider taking them to Escape Experience. It might just be the most fun-filled hour you spend on your next trip to the Scenic City. Escape Experience is recommended for ages 8 and up. Each room can accommodate groups of 2-8 people and can be reserved online in advance or same-day, with experiences offered daily from 9:00 am to 11:00 pm. To book an experience, or for more information, including detailed descriptions of each escape room game and a complete schedule of start times, click here or call (423) 551-3306. Escape Experience: It&apos;s not just a game, it&apos;s an experience.